I also want to show you the card I made the other day, using one of the sweet Emerald fairies digi images. And before I forget, I also need to announce the winner of my spring candy. 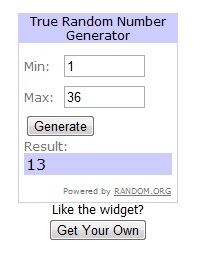 I used random.org to get a winner and the number that gout out was ................................. 13. Yup, lucky 13. :D And that is you, Charlotta. Yay, well done hun! Big congrats to you. :)) Please send me an email before Friday to claim your prize. Are there many Charlotta or is it really ME??? Wonderful card, thanks for joining us at The Paper Shelter challenges this week. Gorgeous card, great design and colours. What a great card...super papers and colors!!! Congrats to Charlotta on the Spring candy win..have fun!! Whoopee Cebelica this is fantastic news well done you, congratulations. I totally adore this beautiful creation those papers, colours design and image look superb. Thanks for joining us at The Paper Shelter this week. This is just as cute as it can be and I love all the different papers you have used. Wonderful card! This is gorgeous, I love the bright springy colours! Love the spring colors that you used on this pretty card with that lovely image. Thanks for joining us this week at the Stamptacular Sunday Challenge, hugs, Frances. What a great card. Love the colours. Thanks for joining us at Emerald Faeries.